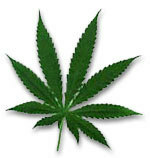 Denver, CO, residents could soon be allowed to smoke marijuana legally, if voters approve a ballot measure in November. The City Council there this week announced that the measure--which would make it legal for adults to posses and use small amounts of pot--would be put to a vote this fall. Council members were quick to point out that they had no choice: A pro-legalization group gathered enough signatures to guarantee a vote. The measure would allow Denver to regulate and tax marijuana, in much the same way as alcohol. Denver would actually be the second city in the country to legalize pot. Voters in Oakland, CA, approved a similar measure last year. But the new law in Oakland hasn't been enacted, since it conflicts with California state law. If the Denver measure is approved, it could similarly go up in smoke.